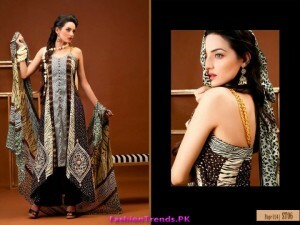 Now Shariq Textile is going to exhibit its Rabea lawn 2012. This is a pretty lawn collection by the firm. 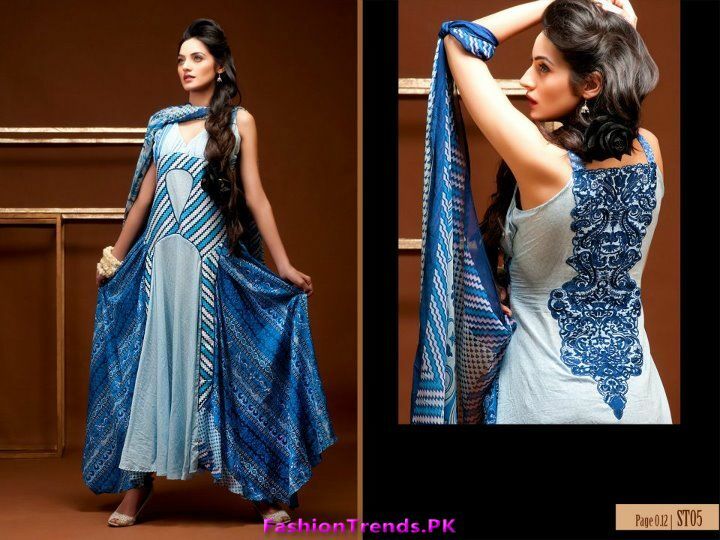 The fabulous collection has been exhibited by Shariq Textile for eid specially. 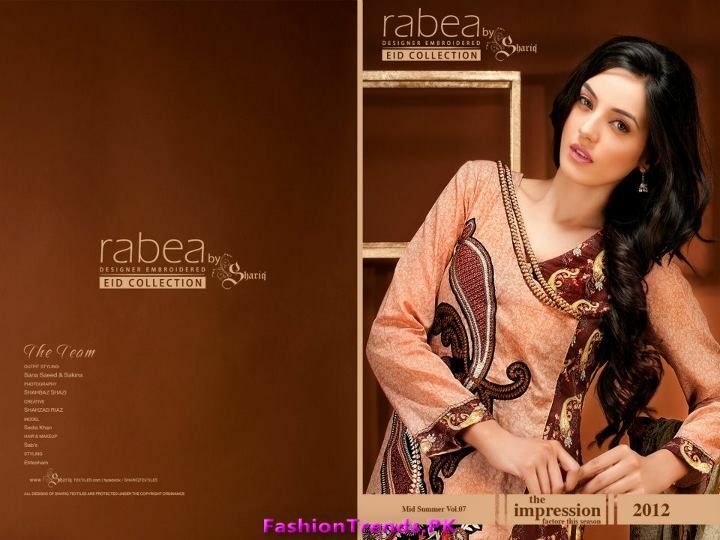 You will find Rabea lawn at all leading stores from 13th July 2012. This unique collection will include embroidered fabrics for ladies’ shirts, shalwars and duppatas. 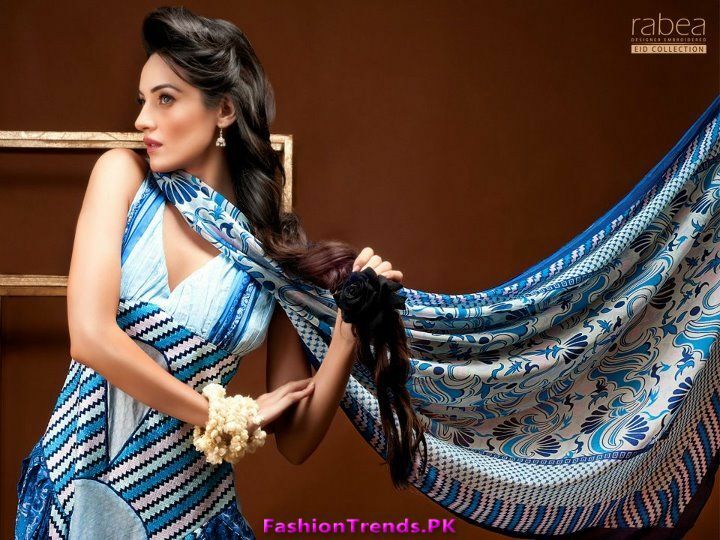 Rabea lawn 2012 collection consists of prints for female of all ages. 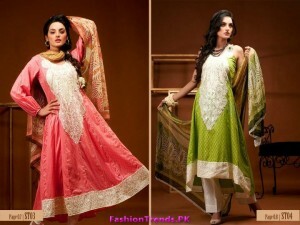 The dresses are unstitched and you can get stylish outfits which are manufactured from the cloth. You can wear a long shirt with churidar pajama or some other type of suit of the latest fashion from the fabric provided. 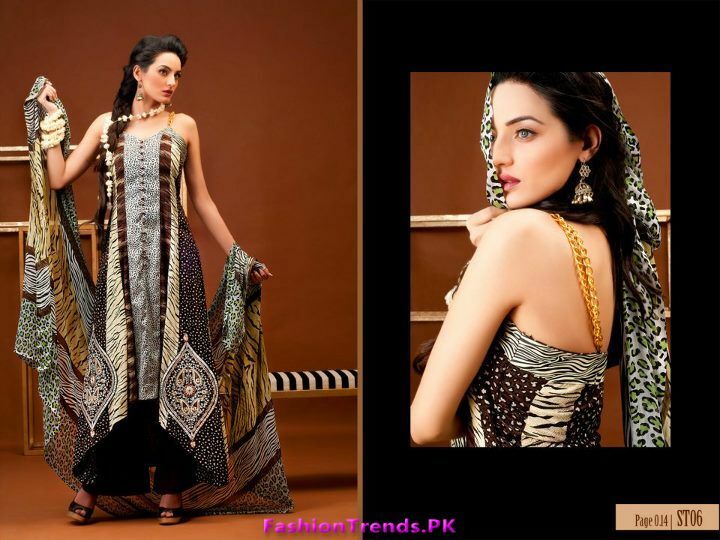 Shariq textiles has gained so much popularity and fame as a textile firm. This textile firm has exhibited a number of collections for different kinds of customers in the year 2012. This firm has displayed Deeba lawn, Subhata lawn, Rewaj and Libas lawn and Reeva lawn. All the collection achieved great success. The popularity of the Shariq Textiles is that its dresses are manufactured with high quality fabrics and have very affordable rates. There are some pictures which are taken from the catalogue of Rabea lawn 2012. 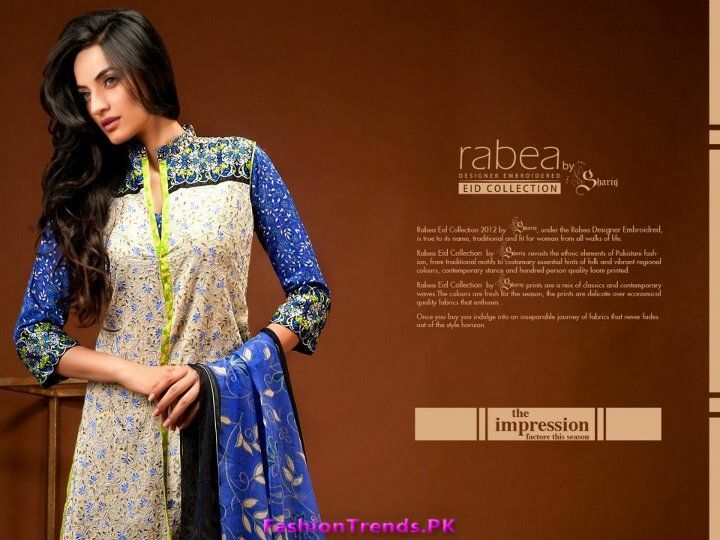 The prints of Rabea lawn 2012 are very astonishing and we hope that this brand will succeed in getting attention of its client. 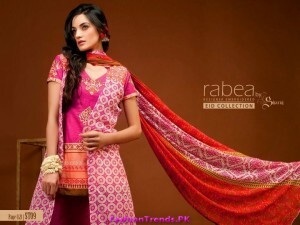 If you want to purchase suit from Rabea lawn 2012 collection then you will visit the store on 13 July 2012. Do not waste your time and take a round of the store before the stock ends. For further information or any clarification, you can view the fan page of Shariq Textiles.